On one of those trips we visited some friends from Europe who live in another Colombian city. She is Austrian and he is German. They served us a meal they called "raclette." They had a little electric cooking machine they set right on the table. On top it was a sort of grill or griddle, underneath, a broiler. She had all kinds of foods set out--bits of meats, eggs, pickles, cheese, peppers, onions, on and on. Fast forward about 10 years. I asked my new, German son-in-law what his favorite meal was, what he asked for on his birthday. He immediately said, "Raclette!" I thought having a little electric raclette cooker would be great--something unique for guests to get involved with, something hands-on for a stay-in date night, a fun family meal, so I thought of asking my daughter and son-in-law for one for my birthday. But they beat me to it! They gave me one for Christmas. 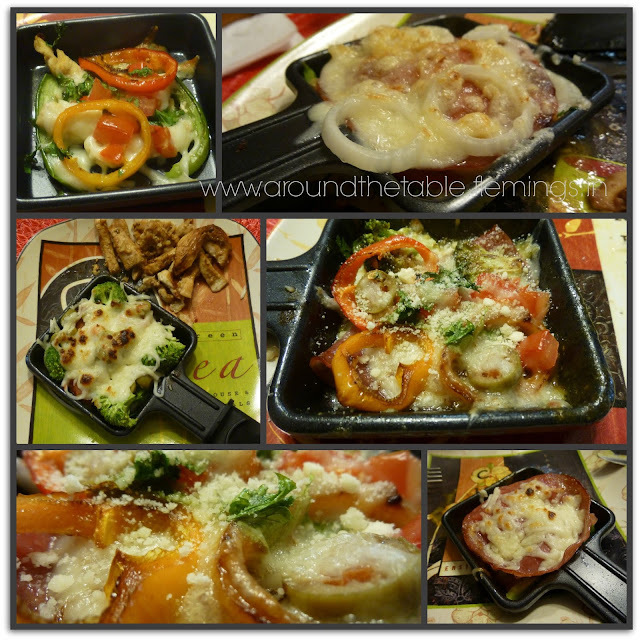 We've had lots of fun meals with the raclette since then. They gave them to our two sons and their wives, too, so when we want to have a group of more than four (that's how many little cooking pans ours has) we borrow our in-town son's--and usually invite them along for the meal! When I first got it, I wrote to my Austrian friend to ask what you serve for people too cook for themselves. She basically said, "Anything you want!" But she gave me some ideas of things to have on the table for people to experiment with. It's so easy and we cook at the table so the meal lasts longer and the ice is broken as we talk to each other about what combinations sound good and what others are trying. Honestly, this is the greatest way to use up veggies, bits of meat that you don't know what to do with, jars of condiments you bought for some forgotten recipe, and almost anything you can think of. Set all the ingredients you want to use out and plug in the raclette maker. 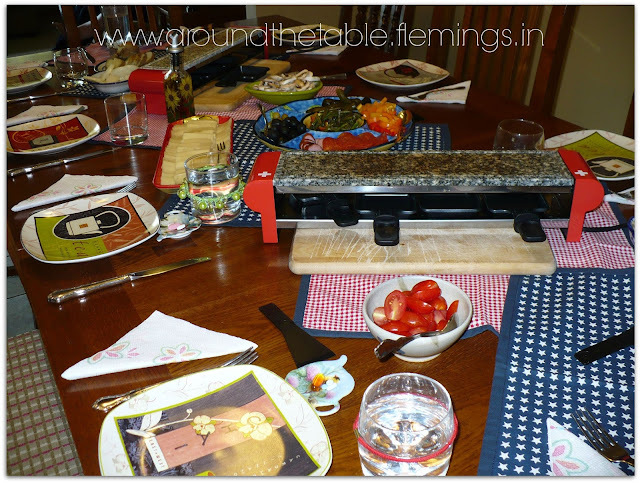 Set the table so that everyone can reach the raclette maker. Call everyone to the table. Explain what that they will be cooking their own dinner tonight. Drip a little oil on the griddle top and spread it around with the spatula. In the little pan, place a drop of oil and then any ingredients desired including a raw egg, perhaps some of the sautéed ingredients. Add whatever condiments sound good. Top with a bit of cheese and place under the broiler. Cook till it reaches the desired doneness and tip it onto the plate and eat it. Each person may want to keep cooking while they eat so they have their next bit ready more quickly, but rushing is not necessary. You might want to have several already done if you think people are too hungry to wait, or need some ideas. I hope you get excited about raclette, and look into buying a raclette maker to make your family meals and dinner parties that much more fun! Update: A friend wrote to tell me they do this basic idea with an electric pancake griddle on the table. 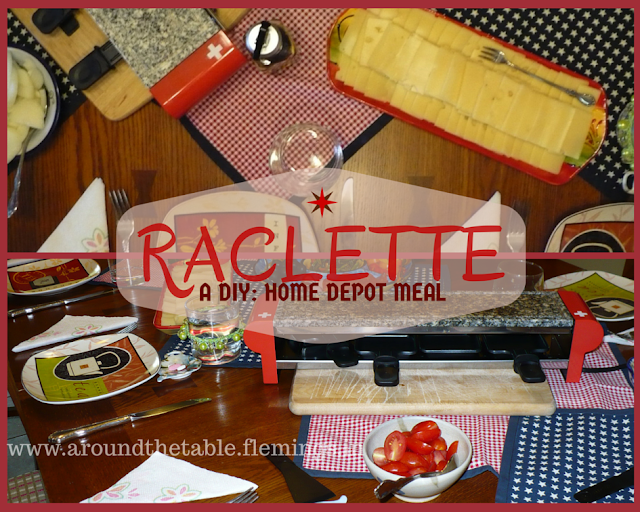 So if you don't want to invest in the raclette cooker, you can still have fun with this idea! with your family at mealtimes see my book Around the Table. It's full of ideas and suggestions for bringing your family together for meals and how to make those times fun. Click on the book and you can read the introduction and first chapter for free! I absolutely LOVE raclette! I only ever had it in Switzerland and Austria. I looked up how to make it at home and never ventured to do it. Now I see how with your post. I'm inspired to try it. I love seeing posts with international flair! Living in Alabama, I'm afraid we don't get much of that. We have such fun with this one. I use it about once a month. My husband and I have had someone living with us since last December (different people, but literally moving people out and new people in the same day!) but eventually would like to do this as a "date night" activity. I'm not a restaurant person (http://bit.ly/1Ocw2n7), so we like to do dates at home or in the open more than eating out. 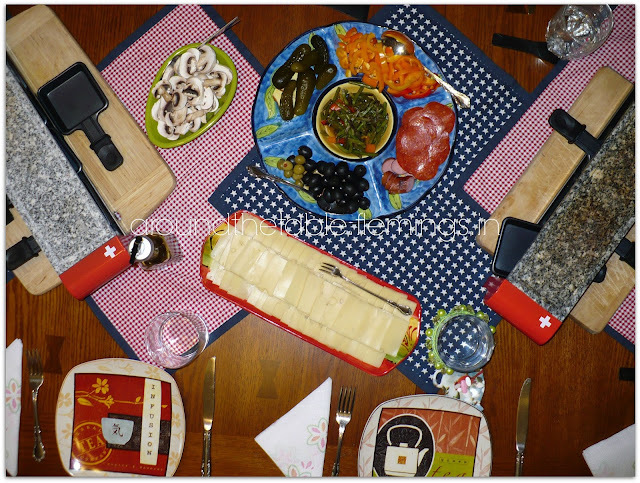 I've been TRYING to REMEMBER the name 'raclette' for several weeks: We were introduced to this dinner fun while in Switzerland. We could either buy an authentic fondue pot OR the raclette. 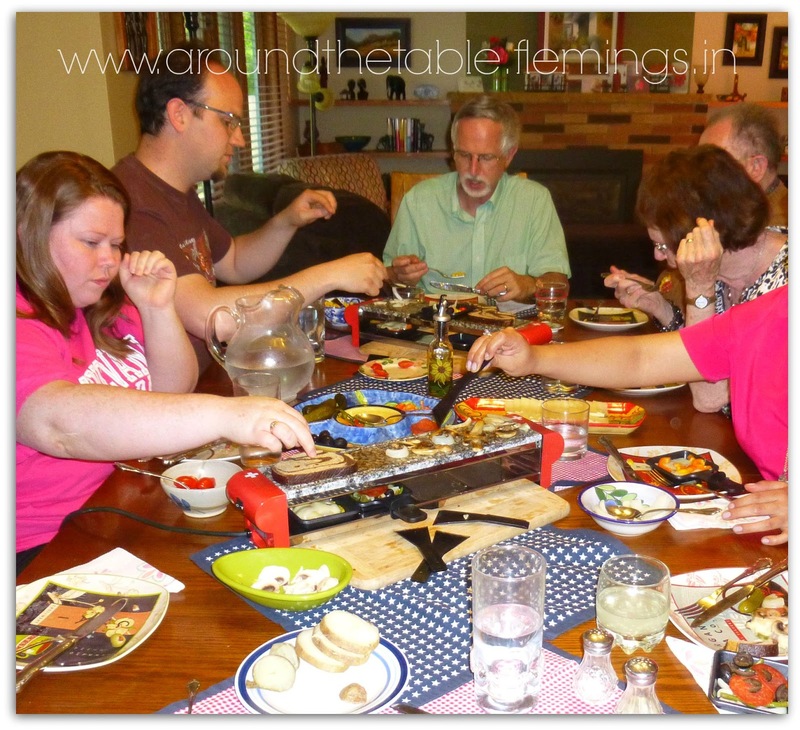 We opted for the fondue pot at the time and NOW we'd like to add this! Thanks for posting!! Glad I helped! I hope you get one. You can find some from the links in this post. I had never heard of this! It sounds so great, I can't wait to try it for family get togethers!